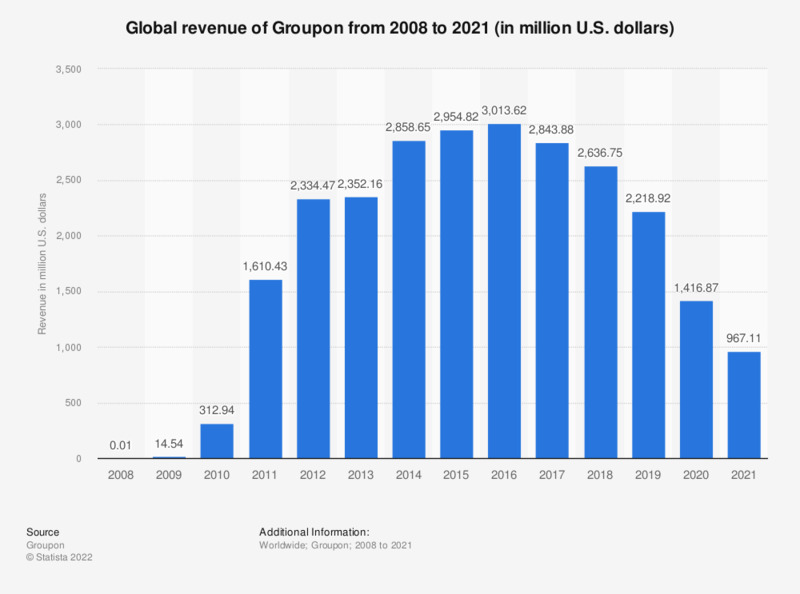 This statistic shows Groupon's global annual revenue from 2008 to 2018. As of 2018, the daily deal website's annual revenue amounted to 2.6 billion US dollars. The coupon portal had close to 48 million active customers as the fourth quarter of 2018.